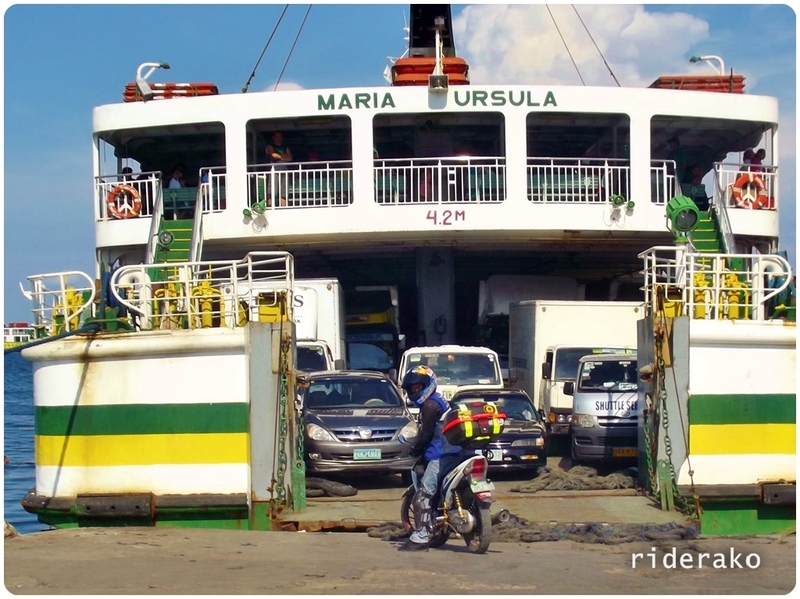 Matnog lies in the southernmost tip of Luzon Island so its port is one of the busiest port in the country. 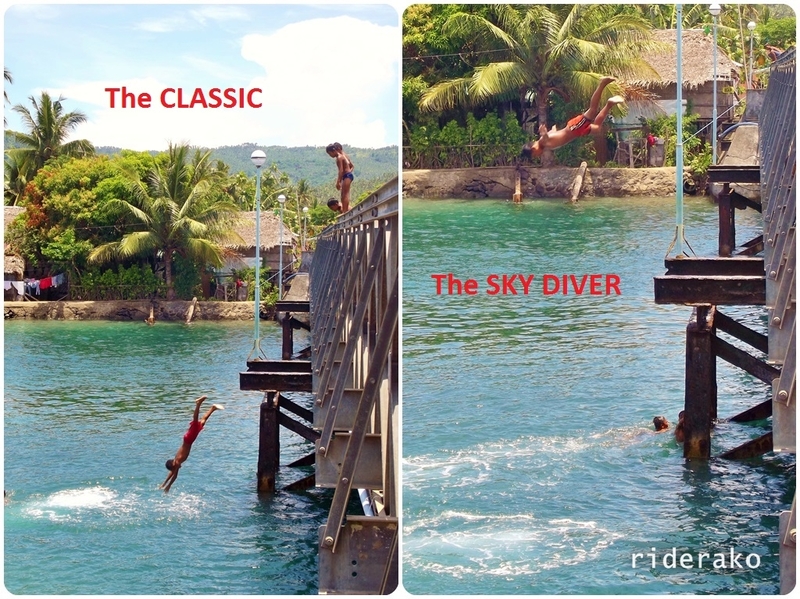 The name was derived from the Bikol word “matonog” which means “very audible” referring to the crushing waves of the sea. 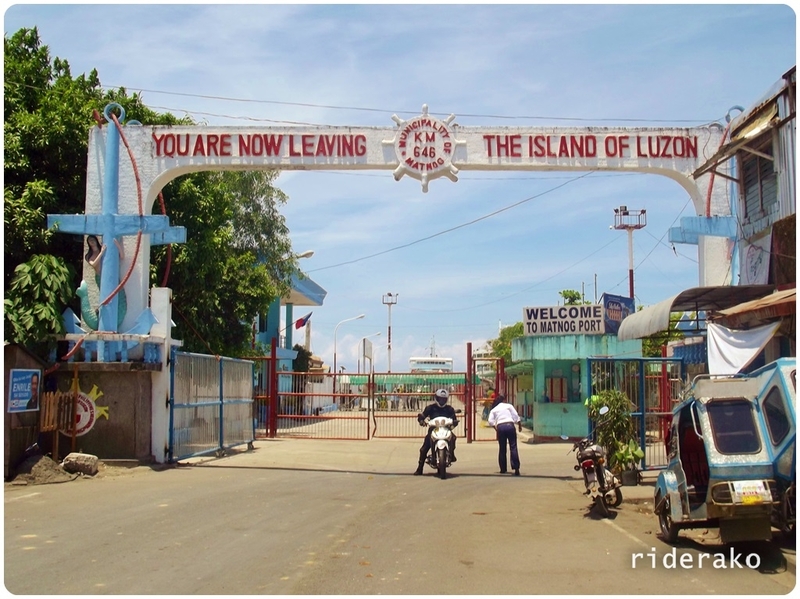 It is not my first time (on one of my previous trips, I crossed to Samar Island in Visayas) to reach Matnog on a motorcycle so I let Yinyan do all the poses with the Matnog Arch famous for the phrase “YOU ARE NOW LEAVING THE ISLAND OF LUZON” engraved on it. It was high noon when we reached Matnog so we didn’t stay at the port for long. I texted my friend that we are on our way to their house. It has been a while since I visited his place so we got a bit lost and ended up by a bridge. Hmmm, what’s this?? 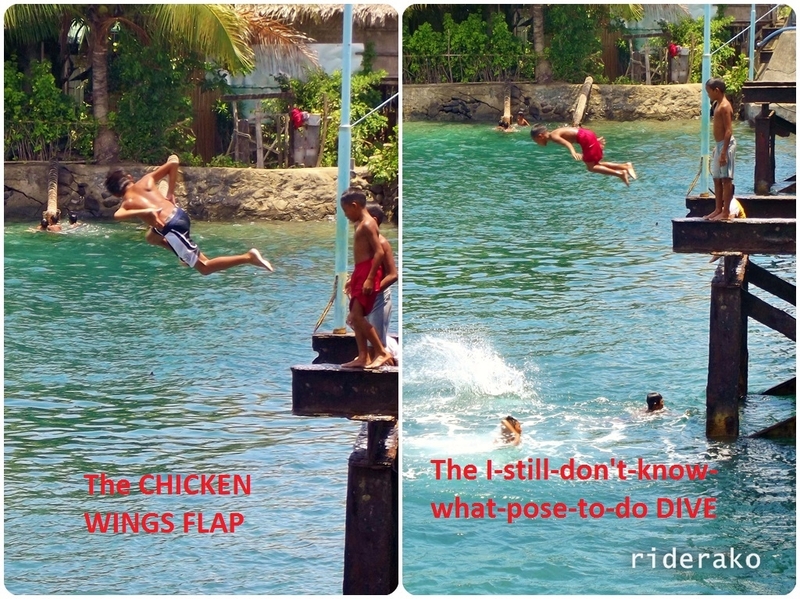 If you’ve ever been in any port in the Philippines, you know that there are always kids and even grown men doing acrobatic dives chasing after the coins thrown by passengers to the sea. However, this moment is unique. 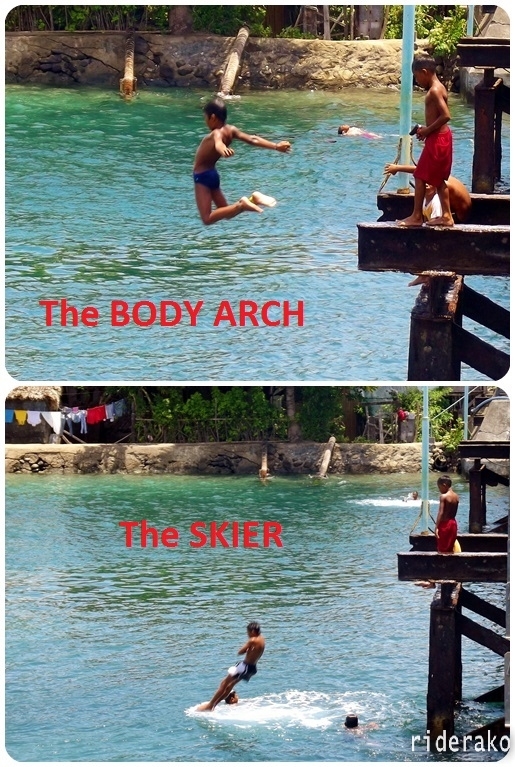 They were being simply kids enjoying a cool bath in the river with no tourists to impress nor prizes to compete for. It’s PRICELESS. Then they noticed me snapping pictures in the distance. 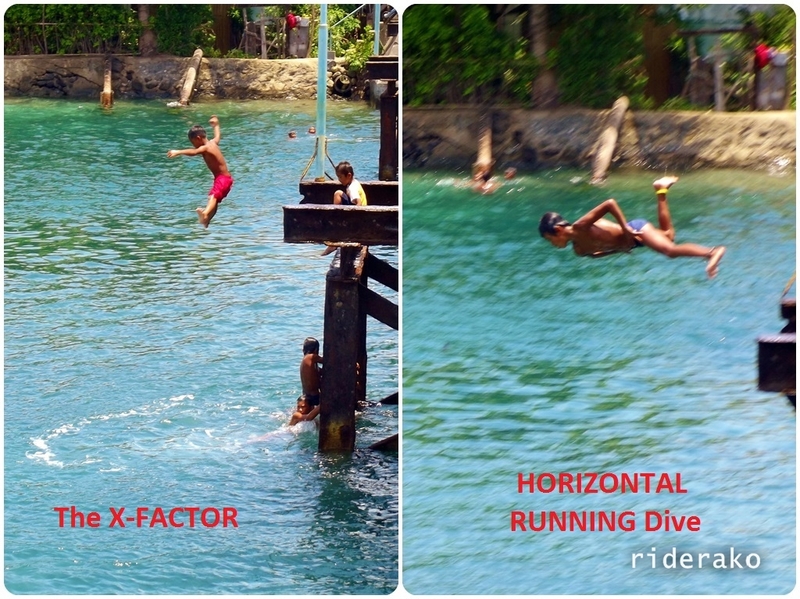 Their playful laughter turned into panic shouts as they quickly scramble out of the water to go back up the platform to do another jump. 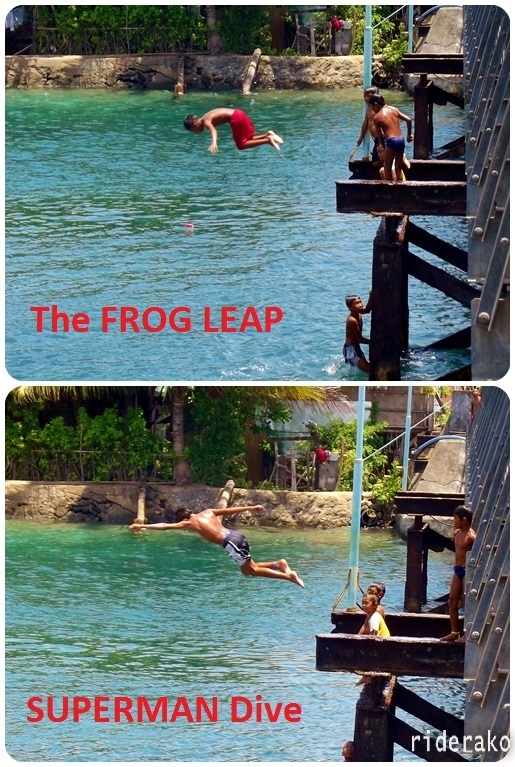 This time however, they were leaping from the top rail of the bridge. I didn’t want to spoil their leisure time so I left after a few more pictures and handed them a well-deserved talent fee. We managed to meetup with my friend and he welcomed us into their home. Boy was I surprised! There were a lot of visitors and a table overflowing with food. All this fuss just to welcome us? :)) Turns out, they were celebrating a wedding. 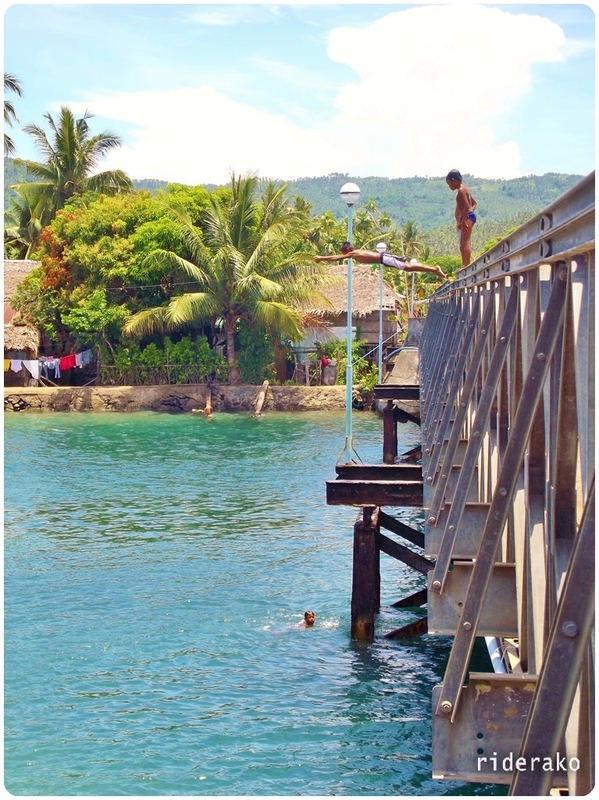 My friend also invited us for an overnight stay at an island. We weren’t prepared for a swim but who’s foolish enough to turn down an offer like that? Of course we said yes. 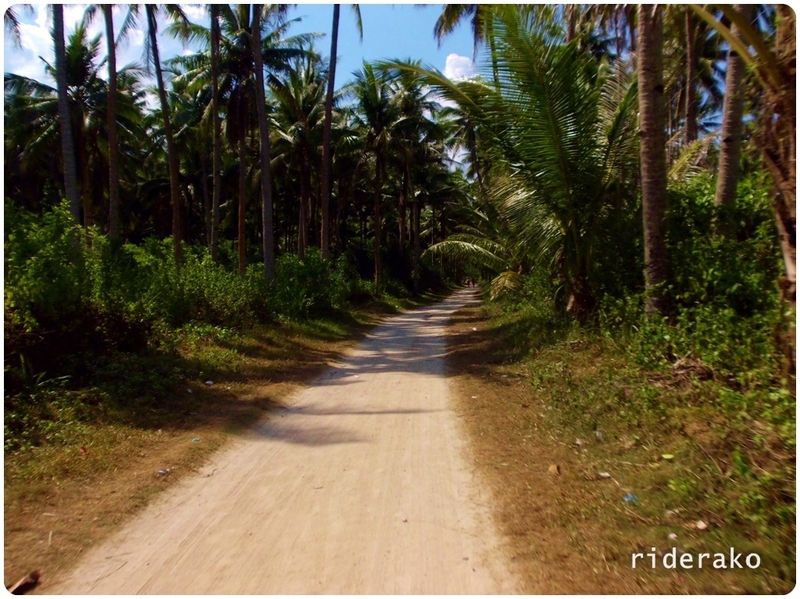 When we were full from our sumptuous lunch, Yinyan and I got back on the saddle to explore the coastal area of Matnog. 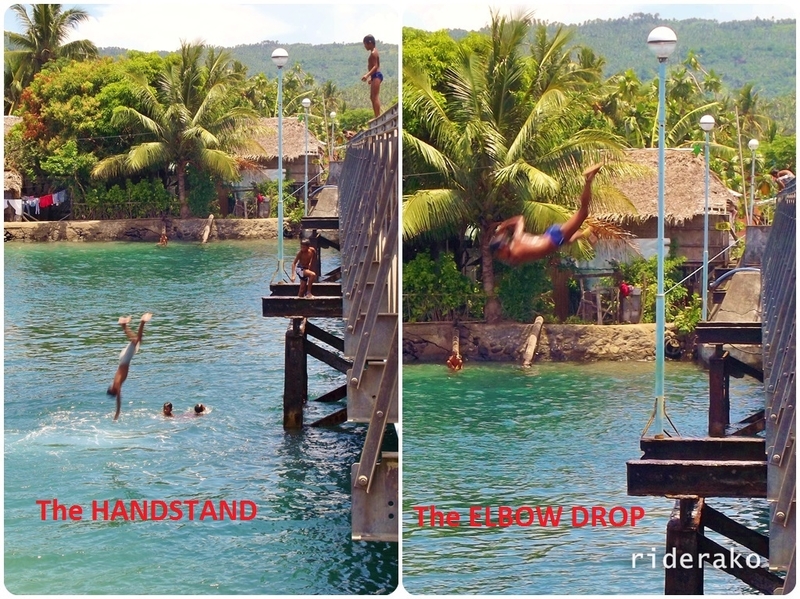 We made them promise not to leave until we get back.
. a beach just a few kilometers from the port. Biri Island is seen in the background. 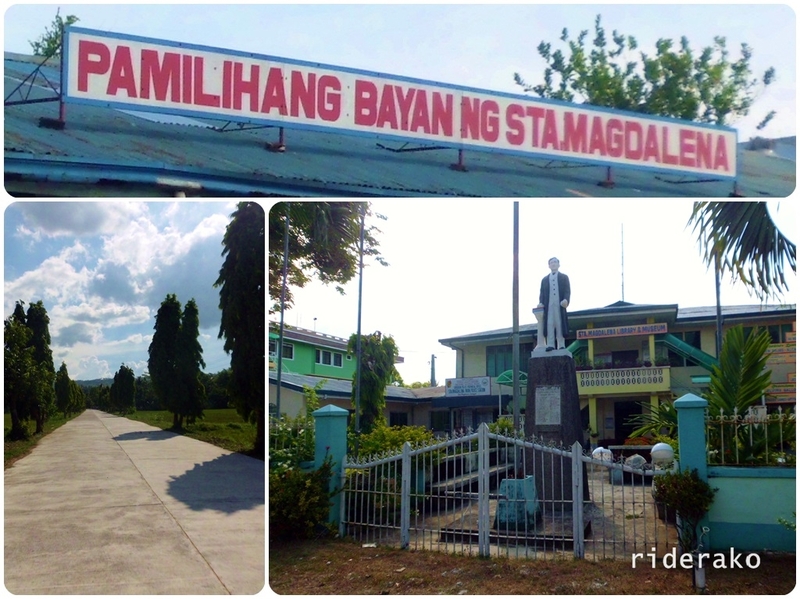 The rough coastal road took us to the small, quiet town of Santa Magdalena. We wanted more off-road terrain but there isn’t any coastal road to Irosin. We went back to the main highway. 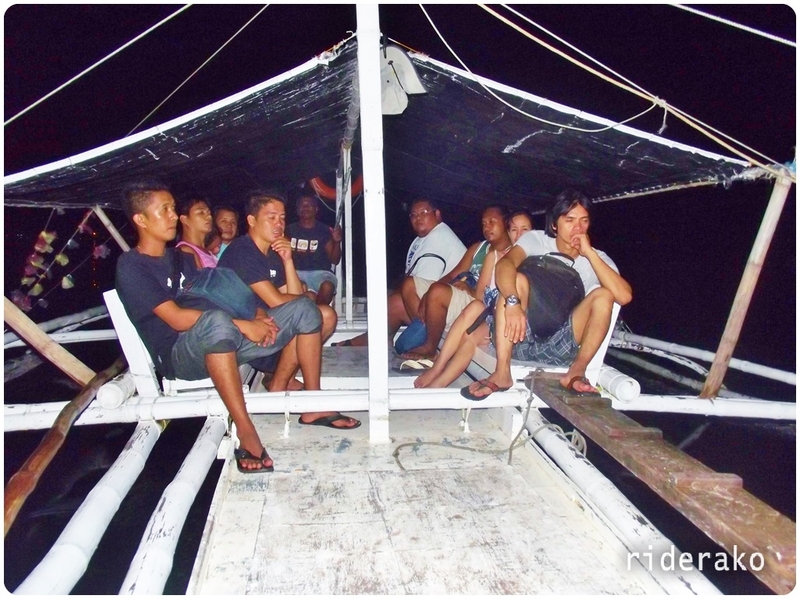 Then, we went back to Matnog for our overnight stay on an island. We also went back to the port for a closer look of the ROROs. We got close enough that Dhona wanted to get on board. What do you mean we’re not taking THIS boat to the island? We are not yet ready to leave so I decided to shop for a more appropriate swim wear. Yinyan also tinkered with Dhona’s worn-out brake pads while killing time. By sundown, we were ready to head out to sea. My cameras and cellphone are low on battery and there won’t be any electricity on the island. I’m sure this will be exciting! 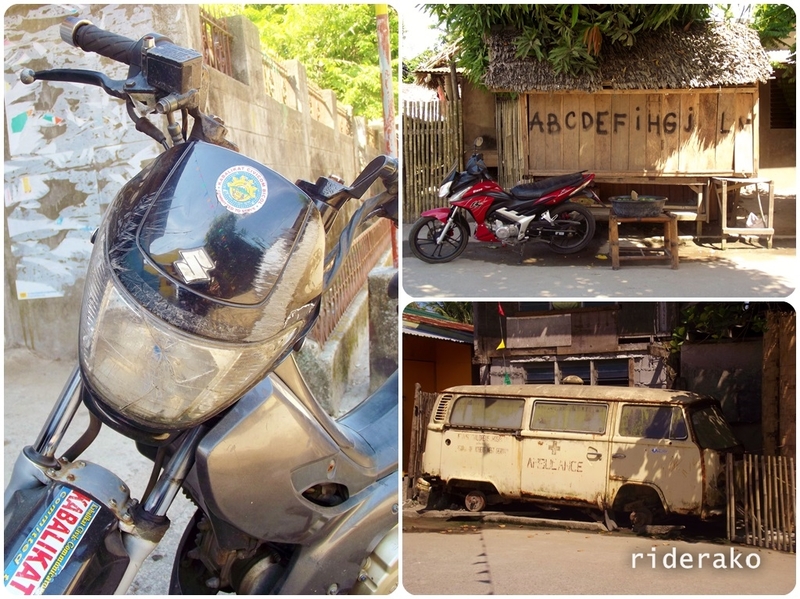 This entry was posted in Group Ride, Rides and tagged adventure, batang barya divers, Bicol, Matnog, Matnog Port, motorcycle, philippines, Santa Magdalena, sisid boys, Sorsogon, travel. Bookmark the permalink. can’t wait for the next chapter…. Thanks for the motivation. mga this week siguro.. hehe.. 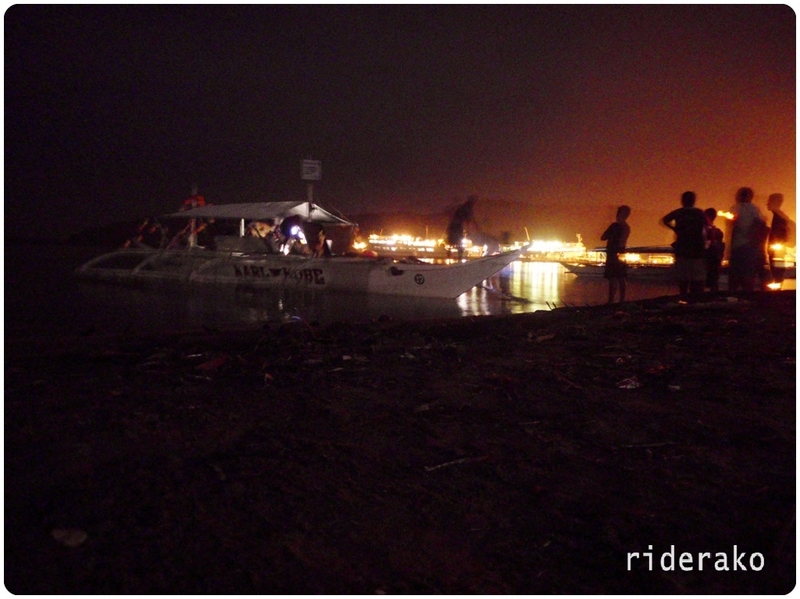 I think its a “little subic” @ matnog he he he. . .
but staying @ Manila, Quezon City to be exact. . .
Shadow929 in MCP forum. . .
Salamat sir Arthur! 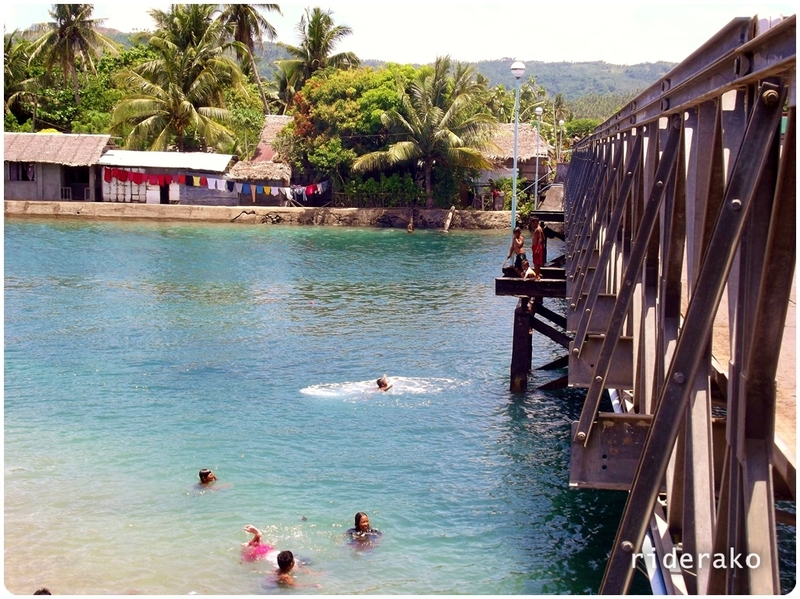 Subic Beach nga sir.. pero Subic Laki daw yung pinuntahan namin. di na kami nakapunta sa Subic Liit. 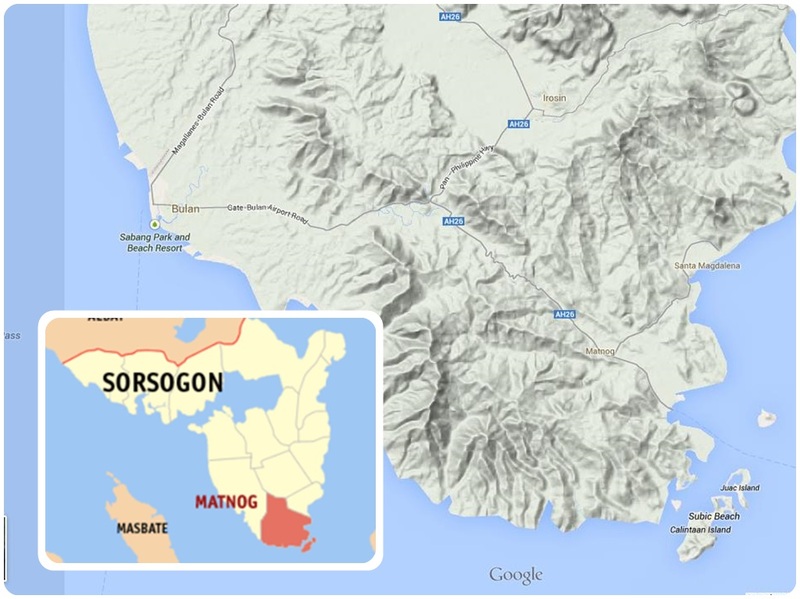 Next chance I get to tour Sorsogon, I might try Magallanes and Bulan. Pati nga Donsol di ko pa napupuntahan.